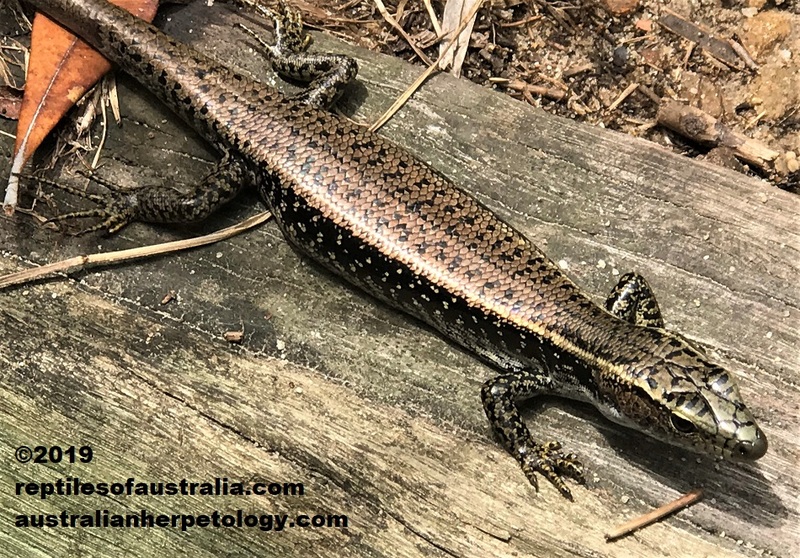 Above picture shows an adult female Eastern Water-skink Eulamprus quoyii from the Adelaide region- Note that the males look very similar to females, However the head shape is slightly different in mature males. Adult Females body shape is also usually wider in front of the rear limbs. 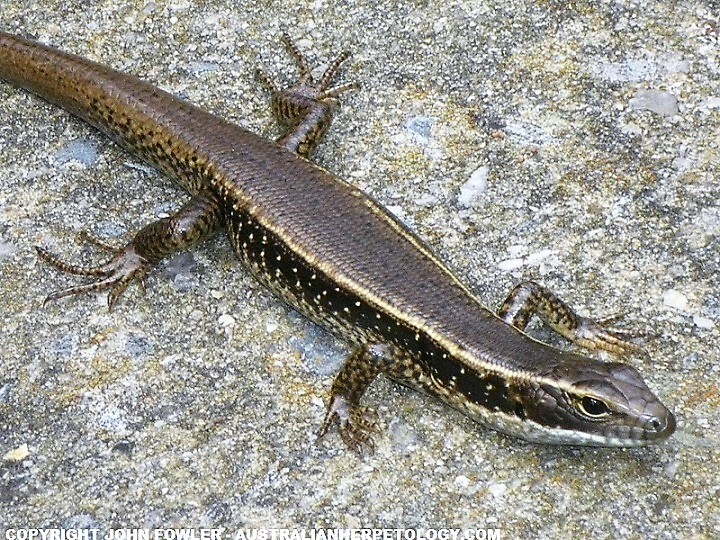 This adult male Eastern Water-skink Eulamprus quoyii is from the Adelaide region. Note the pattern on the throat and the yellowish stripes along the body. This is an extremely common and widespread species found along or near water over much of the East Coast of Australia. It is also common in some rivers near Adelaide, South Australia and Parts of the Murray River. There are several other species of water skinks in Australia - they are often incorrectly identified!